Why are UNICEF and Les Mills partnering? 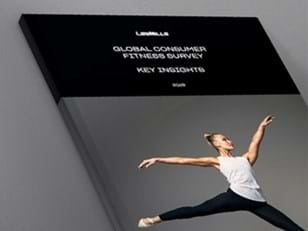 UNICEF’s mission is to protect the rights of every child and Les Mills is on a mission to create a fitter planet. In 2017 Les Mills and UNICEF entered into a partnership built on the common goal of creating a world where every child survives and thrives. What is Workout for Water and when is it? Workout for Water will be a worldwide fundraising event which will help to address some of the world’s most urgent crises for children. On November 18th in gyms and fitness clubs around the world, Les Mills instructors will lead special group fitness classes with participants who will be asked to make a donation to the cause. Each workout will represent an East African child’s journey to collect clean water. All funds raised through this global fundraising campaign and one day fitness activation will be used by UNICEF to help children and their families gain access to safe water, healthcare and food in some of the world’s poorest nations. We’re choosing to Workout for Water, as water crises significantly impact children, especially the most vulnerable. When kids have to rely on unsafe water, they become weak, malnourished and susceptible to water-borne diseases, which are among the leading causes of death in children under five. See the MOVE THE WORLD page. What if I can't hold an event on November 18th? We are encouraging all clubs and instructors to create a global wave of energy and literally MOVE THE WORLD on one day. All the marketing and social media focus will lead to 18th November 2017 but you can fundraise and run events at any stage to support this important cause. How do I encourage people to attend my event? Local Les Mills teams will supply all clubs and facilities with everything they need to promote and run events. The high profile of the global event will mean there will be non-members keen to take part, so clubs can let the wider community know through social and local media that they are a participating club. Clubs and instructors can encourage members to bring a friend along to take part in a Workout for Water, so they can experience the club for themselves. Can I collect cash donations from my event attendees? It’s easier and safer for your supporters to donate online through your fundraising page, but you can still collect cash donations. Just count up how much you’ve received in cash and donate that same amount to your own page using your credit card. Why should my Club/Facility get involved? MOVE THE WORLD is going to be the world’s biggest fitness event and will be promoted by global celebrities. Being part of this global fundraising campaign and one day fitness activation will create a unique experience to inspire your existing members and will help to attract new members to your club on 18 November. MOVE THE WORLD will raise your club’s profile through positive publicity, and will help you to deliver on your social responsibility goals. What exactly are you asking me to do as a club on this day? We want you to create an amazing one day timetable of group fitness classes that will excite and attract your current and new members to join and be part of it. How exactly will it drive new members to my club? The connection between friends is a strong driver in the world of fitness. Running Workout for Water events is a great opportunity for your members to bring friends into your club, both to help them get active and to support a global cause together. We can motivate them with a shared sense of purpose. What benefit will this be to my members? Launch events are a proven way to engage, inspire and attract members. MOVE THE WORLD will be the world’s biggest fitness event, ever. It will strengthen the connection between your club, your Instructors and your members as they share an amazing fitness experience and unite to help solve one of the world’s most urgent humanitarian crises. What benefit will this be to my Instructors? Every Instructor has a huge opportunity to drive donations from their class participants, communities and social media followers. These donations will make a real difference in countries in East Africa such as Burundi. Your Instructors will be creating a unique experience for their participants whilst helping to change the world. It also gives them the opportunity to attract new class participants and social media followers. What do I need to do to get my Club/Facility involved? You should begin by saving the date in your Club or Facility calendar. This is a unique opportunity to be part of one of the fitness world’s biggest events. Ensure your team and staff know that this event is being held and begin to engage with your Group Fitness team about your timetable for the day. Les Mills will be providing your team tools and resources through August and September to successfully count down and launch this event. What support is coming and when? Your local Les Mills team will supply you with everything you need to set up a fundraising campaign and experience that will engage both new and existing members to participate and donate to this urgent cause. Your full toolkit will be delivered in September and will be supported with other information and tools delivered throughout August. How does my club raise money? Your local Les Mills team will supply all clubs and facilities with everything you need to promote and run events, set up fundraising pages and encourage your communities to donate. We’ll be sending the same information to instructors, encouraging them to set up individual fundraising pages. 100% of all funds collected will go to UNICEF to help children and their families gain access to safe water, healthcare and food in some of the world’s poorest nations. We’re sorry something isn’t working! Please email us at support@movetheworld.live with the details of the error, including what kind of device and browser you’re using. Visit movetheworld.live and click ‘Create a Page’. The easy to follow instructions will help you create and personalise your page in a few minutes. Sharing your page on social media is a great way to create excitement, invite more donations, update your amazing supporters on your progress and make sure your Workout for Water is a huge success. Your fundraising page has a handy Facebook button which allows you to easily share your page with your friends and family. If you want to share on another social platform, simply click the + icon button on your page for more options, and don’t forget to tag your posts with #workoutforwater! Remember, the biggest reason most people don’t make a donation is because they’re never asked. What support and information will my Instructors receive? Your local Les Mills team will supply all Instructors with everything they will need to promote and run events, set up fundraising pages and ask their own class participants, communities and social media followers to donate. This toolkit will be delivered in September with key information provided ahead of this date to begin their preparations. Does MOVE THE WORLD cover all programs? Yes, your Instructors can create a Workout for Water for any of the Les Mills programs they are certified to teach. This could be as simple as extending a BODYPUMP workout with a selection of favorite tracks, or it could be as creative as a workout that mixes up cardio, strength and dance tracks. How do I get new members to attend this event? Your local Les Mills team will supply all clubs and facilities with everything you need to promote and run events. The high profile of the global event will mean there will be non-members keen to take part, so you can let your wider community know through social and local media that you are a participating club. Encourage your members to bring a friend along to take part in a Workout for Water, so they can experience your club for themselves. If you’ve logged out of your account, log back in, then under ‘Your Pages’ click on the page you’d like to edit. You’ll see the option to edit your page in the black bar near the top of the page. You can now edit your page including the page title, description and image. Can I keep fundraising after November 18th? You’re encouraged to reach your fundraising goals by November 18th so we can announce the results on on World Children’s Day, which will be taking place on Monday November 20th. However, you will still be able to fundraise up until December 4th 2017, when your fundraising page will automatically close. What happens if I don’t reach my fundraising goal? Any amount, great or small, is always important. If you don’t reach your fundraising goal, UNICEF will still use your funds where it is needed most to help children. Do I have to raise at least $414? USD$414 – or the equivalent in your currency – isn’t just a random number, it’s a world changer. It’s the average cost of a water-pump that can bring clean, safe drinking water to an entire community. By funding a water pump, what you are really doing is providing clean water and sanitation, health care and immunizations, nutrition, education and emergency relief and more. Do you have any tips on how I can raise more money? Thank you for asking! We sure do. It’s easy to get started. Simply complete the short form to create your account. When writing your page’s personal text, be sure to include the reasons why you’re taking part in this event. For Instructors, this might mean that being part of the Workout for Water gives you a great opportunity to achieve your own personal goals, motivate your class, and raise funds for some of the most disadvantaged children in the world. Put your best face forward. Uploading a photo is one the easiest and most effective ways of personalizing your fundraising page. It reassures supporters when they are greeted by a picture of you. And you know what they say about every picture? It’s worth a thousand words and a thousand dollars! Why set a goal? It’s simple. It’s a world changer. USD$414 – or the equivalent in your currency – isn’t just a random number. It’s the average cost of a water-pump that can bring clean, safe drinking water to an entire community. Remember that every donation you get or you give is more than just a drop in the bucket. By funding a water pump, what you are really doing is providing clean water and sanitation, health care and immunizations, nutrition, education and emergency relief and more. We’ll drink to that. Your story can make all the difference. Fundraising is all about motivating people to share your passion – for changing lives, for doing what’s right, for celebrating someone or something. Let other people know how you’re challenging yourself with this event and invite them to join you in reaching a common goal. Then, don’t forget to celebrate with them when you achieve it! You should aim to have collected all your donations before the event. But feel free to ask your class to donate on the day, if they have forgotten. Remind them of the impact their support will have on children around the world. Don’t be shy. Email is one of the most effective ways of getting the most donations. Let your contact list know what you’re doing, why you’re doing it and how they can help. Don’t forget to include a link to your fundraising page. Once they’ve given (and they will, because they LOVE you) be sure to send them a personal message thanking them for their help. Facebook is a great way to create excitement, invite more donations, update supporters on progress and make sure that your #workoutforwater is a huge success. Create an Event Listing on Facebook and invite your class to attend. By leaving the event open, it also encourages your attendees to invite their friends and family, too. Remember that the biggest reason that most people don’t make a donation is because they’re never asked. Make a splash by using the #workoutforwater hashtag to help define yourself as a life changer when you tweet a link to your fundraising page. And don’t forget to tag @lesmills for a possible high profile retweet. Never underestimate how much fun that fundraising can be. Get creative. Wear a tutu, shave your head, get a temporary tattoo, hold a no-sugar bake sale. Great fundraising can help build community while it changes the world. We all live busy lives and it’s really easy to put things off. A little reminder or nudge never hurt anyone. If someone has said they’ll donate, follow up with a phone call or email. People respond to deadlines, so don’t hesitate to suggest some of your own – for example, “if I get 3 contributions in the next 24 hours, I’ll teach my next class in solid gold lycra”. Want to know a secret? Giving feels great. It’s just like the afterglow of a terrific workout. You can keep that feeling going by saying a big thank you to everyone who makes a donation. Single them out in class. Thank them on social media. Give them a high five next time you see them. It’s impossible to thank too much. To help keep your exercisers focused on the pump goal, it doesn’t hurt to remind them that we’re literally saving lives here. Did you know that about every two minutes, a child dies from diarrhoea due to unsafe drinking water and poor sanitation? Clean water is so important. UNICEF has helped save more children’s lives than any other humanitarian organization in the world. See the MOVE THE WORLD page for clubs and facilities. As an Instructor, how do I get involved? If you want to get involved, more information can be found here, and we encourage you to speak to your Group Fitness Manager. Your local Les Mills team will supply you with everything you need to promote and run events, set up a fundraising page and encourage your own class participants, communities and social media followers to donate. Full toolkits will be provided in October for you and your club to make this a success. How do I get my club or facility involved? Please share more information with your club or facility which can be found here. Your local Les Mills team will also be sharing information with your club about how to set up a successful event. The first step is to Save the Date in your club calendar. Following this your Group Fitness Manager will begin preparing the schedule for the day. Everything else will be provided to you and your club to organise your MOVE THE WORLD event. Your challenge is to create a Workout for Water for the day. This could be as simple as extending a BODYPUMP workout to 90 minutes with a selection of your favorite tracks, or it could be as creative as a 90-minute workout that mixes up cardio, strength and dance tracks. Once your event has been confirmed in your club, you will be asked to set up your own fundraising page from September to raise support. We will provide you with a full toolkit of resources to raise awareness of your event and to raise funds. What if I teach at more than one club? We recommend you speak to your Group Fitness Managers about their timetable in your respective clubs. What release should I teach? Les Mills will release a one-off Workout for Water digital kit in October that will be available free to all Les Mills instructors around the world. Your challenge is to create a workout mix (or mixes) for the day. 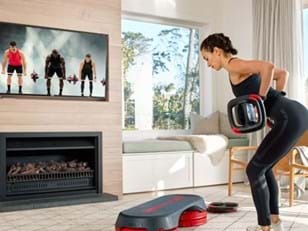 This could be as simple as extending a BODYPUMP workout to 90 minutes with a selection of your favorite tracks, or it could be as creative as a 90-minute workout that mixes up cardio, strength and dance tracks. Have some fun and put together something you and your classes will love. Your local Les Mills team will supply you and your club with everything you need. The goal is to create a unique experience that will engage both new and existing class participants, and raise a whole lot of money for this urgent cause. We will help you make that happen. Your full toolkit will be delivered in September. Does MOVE THE WORLD cover all Les Mills workouts? Yes, you can create a Workout for Water for any of the Les Mills programs you are certified to teach. What if I can’t hold an event on November 18th? Who can create fundraising pages? Anyone can create a fundraising page! You might be a gym owner, a certified Les Mills instructor, a member of the Les Mills Tribe, or someone who is passionate about raising money to provide water to those in need. What happens if I reach my fundraising goal early? Woo-hoo! You can keep fundraising well beyond your fundraising goal because, in case you haven’t noticed, the top fundraisers will be celebrated and get their picture on the landing page. I don’t have a Facebook account, can I still create a fundraising page? Yes, you can still create a fundraising page with just an email address. Simply visit movetheworld.live and start your page by logging in with an email address, you’ll be sent a temporary password so you can log back into your page later on. Get creative. Want to know a secret? Giving feels great. It’s just like the afterglow of a terrific workout. You can keep that feeling going by saying a big thank you to everyone who makes a donation. Single them out in class. Thank them on social media. Give them a high five next time you see them. It’s impossible to thank too much. See the MOVE THE WORLD page for instructors. The UNICEF Release contains a special version of the hit track “What About Us?”, recorded by the artist P!nk in collaboration with Kids United and granted to Les Mills Instructors and Gyms under special license for instructors to use as part of their Workout For Water classes on 18 November. How will instructors get the release? The Auckland Team will issue a release to each instructor who has received a Q2, Q3, or Q4 release for 2017. This release will be given to your instructors free of charge. Your IX teams will be able to see that the release has been issued to an instructor via Salesforce, where it will appear on their instructor account with code “SE001_en_o_d”. There is not an automatic email sent to instructors, so Market teams can notify their instructors that the kits are ready first thing Monday morning. If you have some concerns that many instructors may not receive the release this way please get in touch right away on digital.release@lesmills.com. How do instructors see the release? Instructors can view/download the release in their normal kit portal using the same password they always use to login. The release will appear on a new tab labeled, “SPECIAL EVENT”. If the Releases App is available in your market, instructors can check for the release by visiting the “RELEASES” tab and pulling the screen down to activate a refresh of their releases. As always, instructors should make sure they have the latest version of the App from their App store. If your team is doing translation, we have already been in touch with you about how to complete the translation and when to return it. We will issue kits in your market with the appropriate language code. Until translations are complete and uploaded, the notes will be in English. Once they are uploaded, instructors can simply re-download the notes to receive them in the correct language. What if an instructor does not get the release? Please first check their account in Salesforce to see if we have issued them an SE001 release. If one is missing, please complete this form and we will help get a release issued for them. If the instructor has missed all the releases this year, it could be a good opportunity to talk with them about becoming current again!